If you’re a fan of space in general, you would have heard US astronaut, Chris Hadfield’s shot to fame as he recorded himself singing David Bowie’s Space Oddity at the International Space Station. 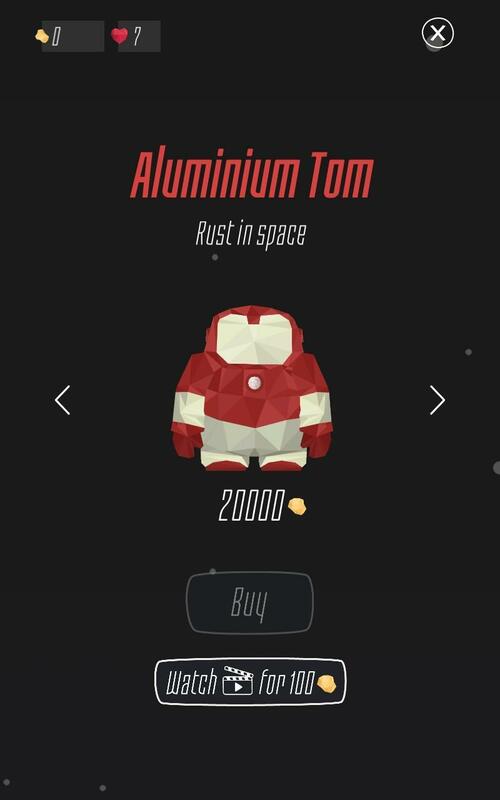 Inspired by the same song, X company has come up with this amazingly addictive casual game, Major Tom: Space Adventure that features Major Tom, the fictional astronaut in Space Oddity! Sounds like something you would dig into? Well, read on to find out more! Being a mobile game, the controls that you’ll need to know in order to play Major Tom: Space Adventure are really simple. 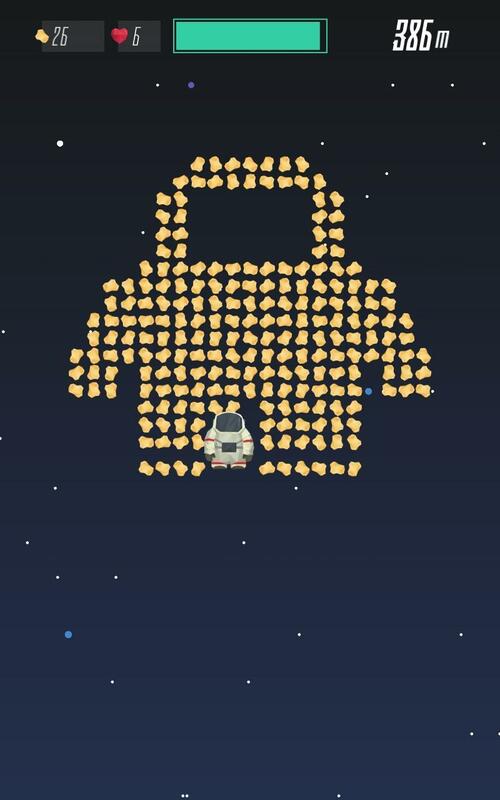 All you need to do is press on the screen of your mobile device to move Major Tom. By pressing on the left or right side of your screen, he will drift towards left and right respectively. However, when you press on both sides of the screen, Major Tom will shoot upwards, propelled by the boosters packed in his spacesuit. Moving around in this game can be pretty challenging as it all depends on control... how long you press on a particular side of the screen. Not to mention, the game only provides you with limited fuel as indicated by the fuel meter at the top of the screen. So, be sure not to waste too much fuel as the fuel meter, somehow, doesn’t replenish when you released your hold on the screen. So, how are you going to get that highest score and beat all your other friends then? Well, the game features a lives system that allows you to spend at least 1 life to revive Major Tom at the distance he “died” in so he could continue his journey. You can revive for an unlimited number of times as long as you have the lives to spare, but subsequent revivals will cost more lives. Lives can be obtained by spending real cash or by watching their video adverts. Thus, be sure to use your free lives sparingly! 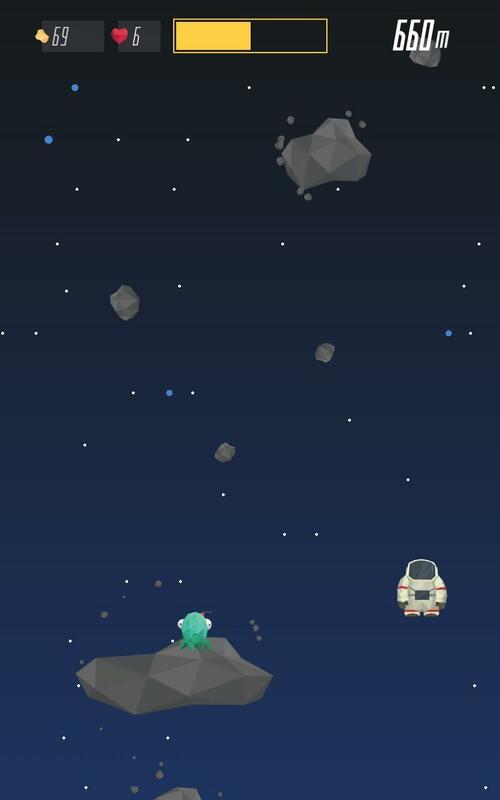 Furthermore, as you help Major Tom traverse space, you will also need to collect as many golden ores along the way. These ores can then be spent in the in-game shop to purchase new spacesuits for Major Tom. Some more interesting examples include the Captain America-inspired, Tom’urca, and also the Superman-lookalike, Kripto-Tom. There are 13 different spacesuits that you can buy with more in the pipeline. Space is not filled with only golden ores however. It is also filled with planets and big asteroids that will kill poor Major Tom if you’re not careful. That being said, Major Tom: Space Adventure provides you some form of leniency so when you accidentally collide Major Tom with a smaller asteroid, he will not immediately explode into pieces. In terms of music, the game features a catchy techno-styled tune that is, somewhat, a hit-and-miss for me. However, the graphic style used in this game is rather unique and makes the game stands out from the other endless-running/climbing type games. The only part the game needs to improve on is the ads. They tend to pop up at some of the most unfortunate times and accidental taps are very common. Overall, Major Tom: Space Adventure is a very entertaining casual game that people from all age range can enjoy. It is certainly worth your time to check it, so be sure to do that today and see how far you can help Major Tom go!